Ten years ago, Apple began selling the first iPhones, beautiful pieces of metal and glass that changed the world. Then some clumsy idiot dropped one. He got his way. Sort of. Although it was better protected against keys, the glass still shattered in certain “medium-velocity impacts.” As more people bought iPhones, more people dropped them. Humans are clumsy; iPhones are fragile; sidewalks are hard. Sometimes the phones remained usable, and those too lazy or apathetic kept using them despite the shattered glass. Soon after the iPhone was released, blogs circulated warranty-violating cheap fixes for broken screens like samizdat, using razor blades and “anger, spite, and an imagination.” An industry grew around the problem, offering cheaper black market fixes in the backs of bodegas. 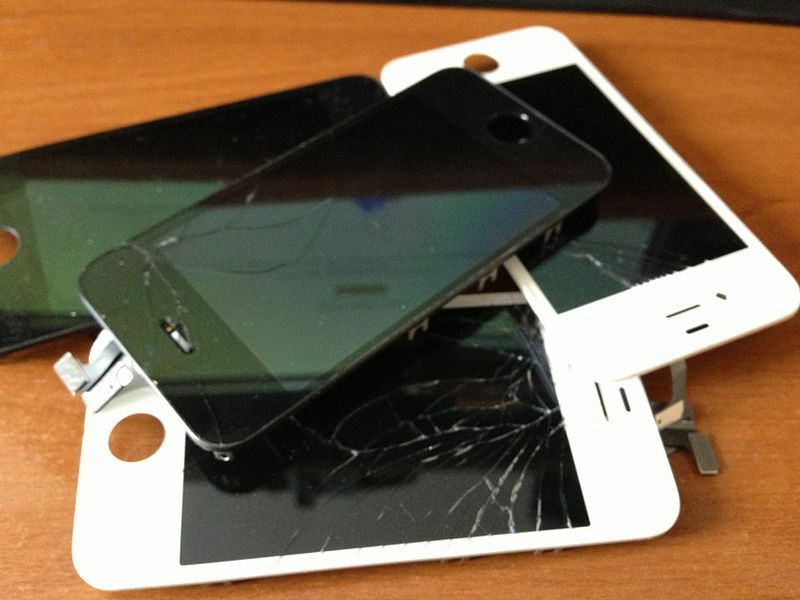 Brendan McElroy started the iPhone repair service Dr. Brendan’s in his apartment in 2008 in New York’s East Village. It became successful that, a few years later, he opened a brick-and-mortar shop on St. Marks Place. The majority of repairs are for accidental damage, like dropping phones on the ground or into a toilet. “We’ve seen it as bad as it can get. Run over by trucks, dropped off roofs…” he says. Despite this, there’s not an uptick in sales from disappointed lovers on Valentine’s Day. After other holidays, however, they fare better. “Usually after the drinking holidays, like New Year’s Eve or St. Patrick’s Day, we’ll have a big influx,” says Brendan’s brother, Dan. Is it fair, then, to characterize the design of the iPhone as a spectacular failure? Obviously, a device humans carry in their hands at all times will be dropped, yet, 10 years after its invention, it just takes one small, clumsy mistake to smash an iPhone screen into a spider web. If one wants to be conspiratorial, the lack of durability serves the purposes of industry. As phones break, cycles of new products continue to be released, always with newer, better features. Meanwhile, Apple removed the headphone jacks in favor of wireless bluetooth headphones. Which, coincidentally, is one of the few safety systems protecting against broken screens. For what was a headphone wire but an accidental protective phone bungee cord, dangling a dropped iPhone inches from its destruction? So the screens will keep breaking, as exciting new iterations are developed, to be assembled in poor conditions for low pay. The rare earth minerals used in their manufacture will be mined in hazardous environments, sometimes with child labor, poisoning the soil and water around the world. The world has changed, but not that much. But hey, they come in jet black now!